The murder-mystery Bloody Chronicles is currently trying to crack the case of the elusive crowdfunding goal on Kickstarter. 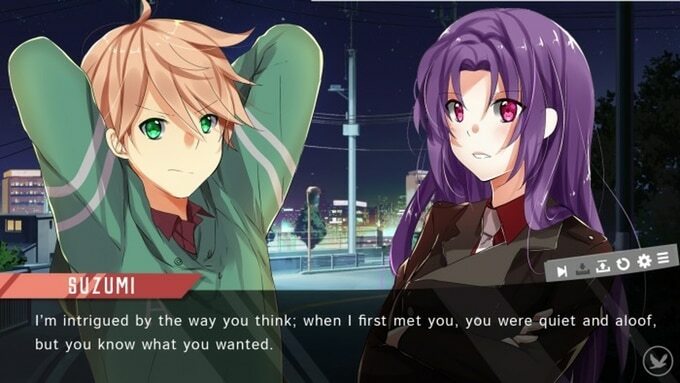 The Japanese developer, Igrasil Studio, is focusing on a ‘new’ twist to your usual visual novel to market the game for western audiences. The choice to include English voice acting instead of using voice actors from Japan is one of their interesting attempts to appeal to a global audience. Luckily, the westernization of this game isn’t the only compelling thing about it. If you or your family was caught up in a crime that the police considered unsolvable, what would you do? Who would you turn to if a ‘Phantom’ killer that left no trace of their murders took away someone you loved. Luckily, in the world of Bloody Chronicles, IGRASIL exists. This non-governmental detective agency-which confusingly shares its name with the developers-is full of (mostly) young and bright employees who are dedicated to shed light on anything the police can’t solve. Each member has their own reasons for pursuing justice: the bright but distant Kazuki thinks that a series of unsolved murders might be related to his nightmares about survivor’s guilt whereas the motivated Suzumi starts the organization to find the unknown perpetrator responsible for trapping and killing a number of police officers. Unfortunately her father was one of those killed. Igrasil Studio, creators of the IGRASIL organization. Naming things can be hard. The main arc of the visual novel will be the hunt for the Phantom Killer, whose body count grows each week in the fictional streets of Utna. Igrasil Studio is breaking the story into 3 separate installments. The Kickstarter is just for the first act, the New Cycle of Death, and the dev’s hope that sales from the first game will fund the final 2 acts. The entire series is supposed to last 80 hours (about 26 hours an installment) and will allow the main character Kazumi to form romantic relationships with his colleagues. The decisions the player makes during the different chapters of each act will lead to new interactions and will decide on the eventual outcome of the game. Will you find love, find a phantom, or find the ultra hidden ‘DARK’ ending? The art style looks quite sharp if not a little common for Japanese visual novels. The fact that the devs are ‘aiming for each character to have 30 fully-detailed CG illustrations and their own original musical compositions’ plus the fact that characters will have multiple sets of outfits sounds promising. It’s surprising that the UI is the visual aspect I’m drawn to; Luna Li‘s design and spacing is simple but elegant. I especially like the slanted menu bar at the end of the text boxes. It’s so beautiful! What? What cherry blossoms? I was talking about the UI. The sample tracks by Mark Angel paint an oppressive and energetic mood for Bloody Chronicles; He makes use of anxious piano and strings sections to highlight a sense of urgency that the plot definitely calls for. The voice acting is more of mixed bag. The clips that Igrasil Studio have used are obviously audition reels (one of the voice actors says their name before their multiple takes) and probably aren’t the best examples of what the final product will be. John Archer sticks out the most as a shaky rendition of the lead Kazuki whereas Rachael Messer sounds confident as the brilliant yet lonely Kaoru. Interestingly, there are a few bilingual samples from some of the voice actors: Ruby Chen does English and Japanese for the young and naive Aki. I’m not sure if it’s just that I’m so familiar with visual novels with dialogue from the Land of the Rising Sun, but all the samples in Japanese just were that much more expressive. 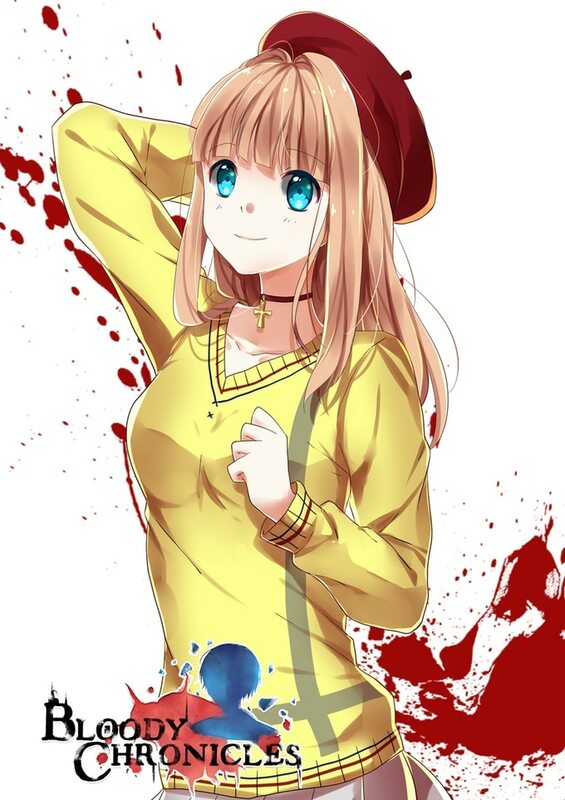 Aki: not that concerned about how to get blood off of a yellow sweater. And this ties back into Igrasil Studio’s mission statement to ‘[try] different things with art style and localization [in western territories]’. It’s clear that the English voice acting is part of this interesting business plan but everything else feels a lot like all the other VNs out there. 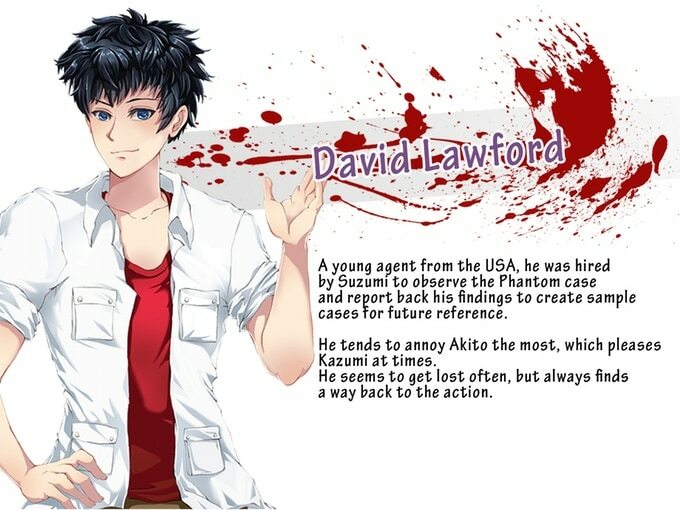 There is an American character but his art is very similar to all the other characters. The setting of Utna has cherry blossoms and is obviously based on Japan. I don’t see much difference in the creation/marketing of Bloody Chronicles compared to similar games that I’ve encounter both from large developers and small crowdfunding campaigns. To be fair… I have seen guys dressed like this in North America. This is a topic for another article but I’m curious to see a what a ‘westernized’ visual novel would look like. Most English devs that want to make their own mark in this genre generally usually stick to the tropes of Japanese VNs. I’m definitely not against this method; I grew up with very traditional dating sims from JAST and loved them. But it does beg the question if there is room to market an ‘English’ visual novel, even from a Japanese developer. And what design decisions would it take to satiate that need for something different. But again, these are questions to be explored later. 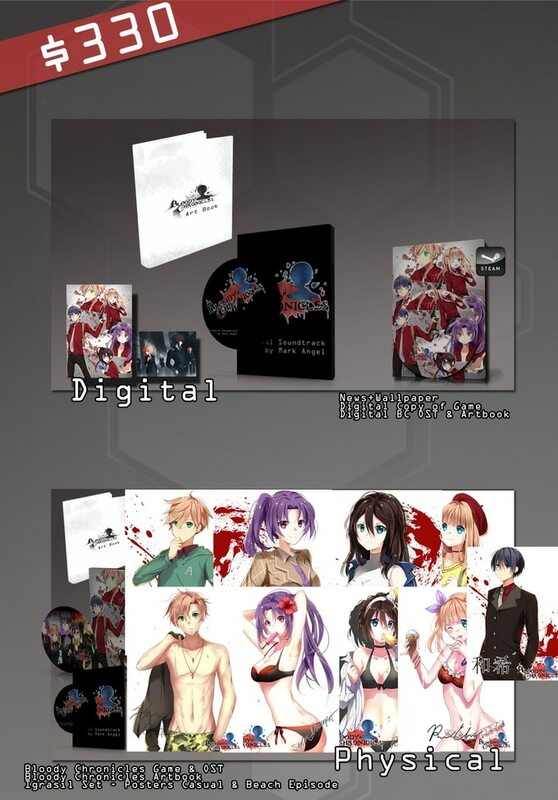 Back to Bloody Chronicles: recently it was confirmed due to fan demand that an Adults Only version of the game will be available for all backers. This comes on top of the news that Igrasil Studio has joined forces with MangaGamer and MiKandi Japan to bring VNs out of Japan to the west. It wasn’t clear if this would be games just made by Igrasil or they would also be working towards localization of other titles. The hints that Igrasil probably wanted an adult themed game were pretty obvious. Currently the campaign is over two thirds of the way to $30,000 USD with 8 days to go. The stretch goals include various mini vacations for the employees at Igrasil (the bikini clad beach trip at $40,000 USD and the quintessential Japanese hot springs trip at $60,000 USD) and additional language track options. Even though the team say they’re making strides to appeal to western markets through English voice acting, that won’t be a reality until $50,000 USD. 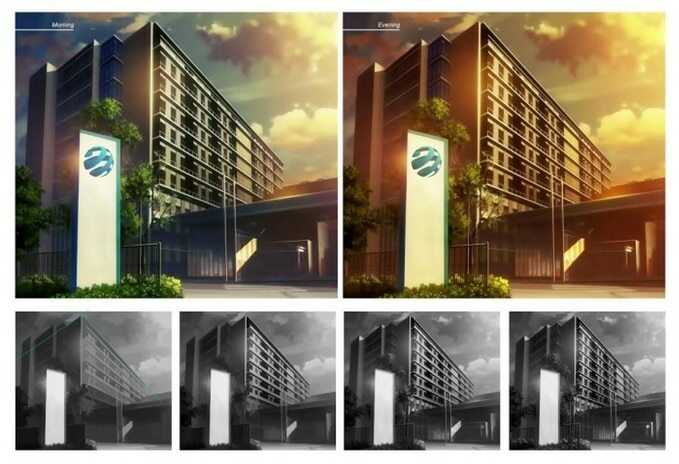 And as if almost to take away this unique design decision, $80,000 USD will allow for Japanese voice actors. Let’s get physical… physical… I want to get physical. While $19 USD nabs you a digital copy of the game, the collector edition situation is a little crazy. 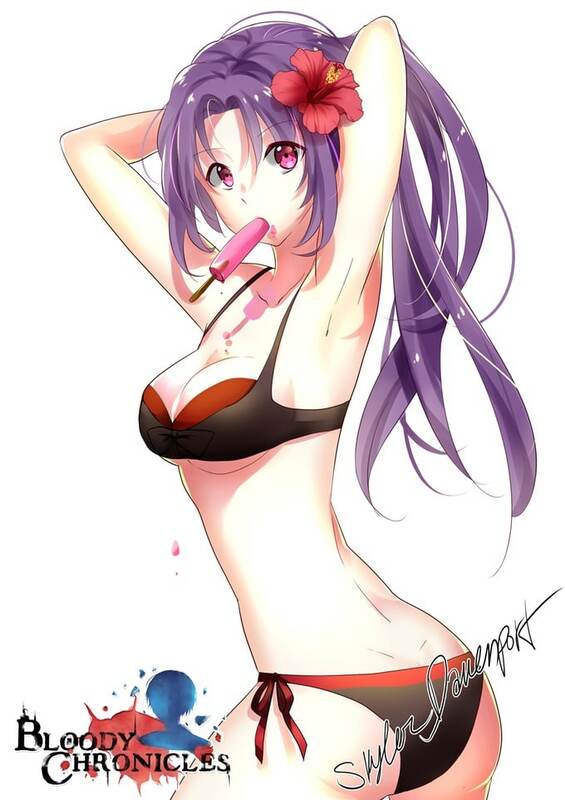 There are individual sets that highlight the various personalities in the game: these include an art book, an OST, and posters of that specific character in casual wear and beach wear. And if you thought it would just be all the female cast, they’ve included one for Aki’s brother, Akito. He even dons a speedo for his cheesecake pose. Each of these collector’s editions will cost $150 USD but you can get the entire set of posters with all the other goodies for $330 USD. As always do your homework before backing any crowdfunding project. Luckily Bloody Chronicles has a demo (for PC, Mac and Linux) that will let you sample a taste of the game. We’re hoping to grab an interview with Igrasil Studio over the next few days which will hopefully clarify some of the lingering questions around the campaign. 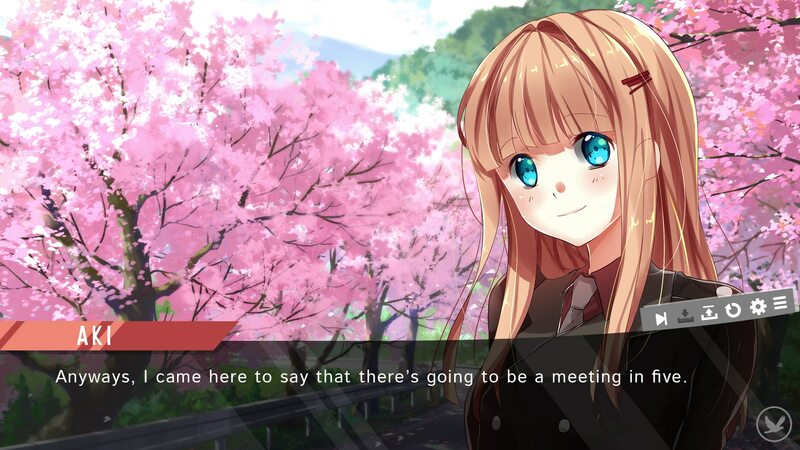 Stay tuned for that but if you just can’t wait to track down the Phantom Killer, you have until Apr 25 2016 12:44 PM EDT to back to this visual novel.